My Top 11 It Cosmetics Must-Haves! 2018 Top Fav Beauty Discoveries To Look Your Personal Best On Camera! 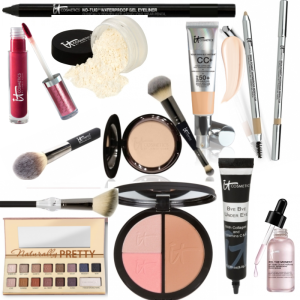 It Cosmetics New Year, Your Most Beautiful Skin QVC TSV! 3 Easy Steps For Fast Flawless Face All Day Long! I Have The Scoop On The It Cosmetics November 2018 QVC TSV!